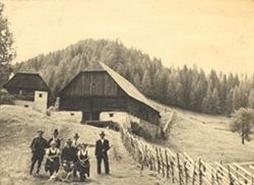 For more than 300 years the Schafferalm has been owned by the former farmer family Schaffer. 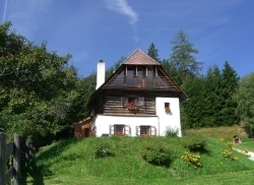 In 2003, we renovated the "Alm" and expanded it to be a fantastic holiday- and seminar-location. As the current owner, I put a lot of effort into maintaining the original flair of the house and its many lovely details, while adding a bit of modern comfort. Aside from the beautiful house there are also 90 acres of surrounding forest, which have been cultivated mostly in a natural way. I am endlessly thankful to my ancestors for this wonderful piece of nature. This is the place where I feel grounded, connected and at home. And it feels good to share this gift with people who can appreciate that. I am also happy to see my son Nikolas share my love for the Alm and very proud to see him grow into my successor. The Alm is something very personal to me and many of our guests have become close friends through their frequent stays.